Remarkably soon after my slim escape from scrupulously formulaic 'music', I got a call from a guy who'd gotten my name from one of the many Musician Available sites in London. He was guitarist Ian Jones and the first thing he told me when I met him outside the keyboard shop on Denmark Street and we went for a drink at the now defunct Marquee in London, was he'd been in a band (when he was 18) called 'Blitzkrieg' and had co-written the band's theme tune by the same name, “Blitzkrieg”; a track Metallica covered on the B-side of one of their current singles and later was added to their 'Garage Inc' album. Good enough. After a few jars we were blood brothers without the wrist slashing. That would come later. The four of us immediately struggled with the most serious musicians' dilemma; What to call the band. Suggested names like 'Painted Lady', 'Tattered Lace', all that 'there's-a-girl-in-the-band' kind of cringy crap forced me to think along simpler lines. Ian was talking about getting someone to pay for our first recording session once we got the songs together. He said, 'It'll be dead easy.' I said, 'Good, that's what we'll call it.' 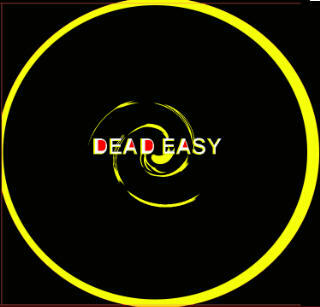 DEAD EASY was born. 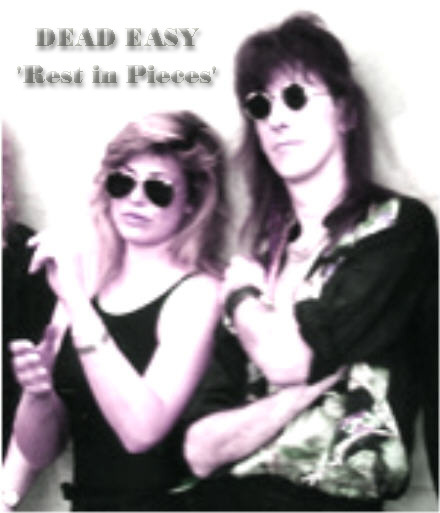 The Dead Easy unit rehearsed 8 hours a day in a tiny cathedral of decibal reverence located outside the sleepy Midlands village of Shepshed. Our first gig was the surprise Loughborough Summer Festival, debuting as the support to local lad headliners and mullet-bearers, Chrome Molly. After the applause died down at Loughborough we marched confidently towards an apparently glorious future. But that was a while, a few hiccups and a coupla bass player changes off. Through the grim midlands winter we gigged and demo'd our material in a tiny studio in Leicester. By early Spring, we had enough material to pursue the obvious next steps: publishing/recording deals, glory, swimming pools in BelAir, white lines tracing off into infinity, endless sleepless dawns, sunrise over Sunset etc. A journalist from Metal Hammer seeing one of our gigs, invited us to give him a demo which he then reviewed for Metal Hammer's Demo page. His review with band photo changed everything.